Teaching SCUBA for more than 47 years! When you choose Lighthouse Diving Center, you have chosen the school the SCUBA Pros have used and trusted. The Lighthouse course is not a short-cut course. Our courses are full certification courses where knowledge and training are emphasized. Our goal and mission is to build confidence in our students, and reward with the SCUBA Open Water Diver certification card as the recognition of successful completion of this intensive training. Further, our training is fun! It feels good to be confident in the water with your equipment and skills, and a student doesn’t get that with short-cut programs. Harry Truitt was the very first Lighthouse instructor and has set the standard for quality instruction since 1972. When you sign up for a Lighthouse SCUBA course, you have chosen a quality SCUBA course dedicated to your safety and enjoyment. Take your classroom and pool sessions here and travel for your Open Water sessions. Haven't been diving in a while, refresh your skills with us. Our Instructors teach the internationally recognized National Association of Underwater Instructors Certification program. The weeknight course which runs two evenings per week for three weeks with open water dives on the final weekend. The weekend course which is conducted over three weekends open water dives being the last weekend. Both options are offered in all three of our locations and utilize an internationally-recognized standard outline to teach the academics of SCUBA through interactive classroom and pool sessions. 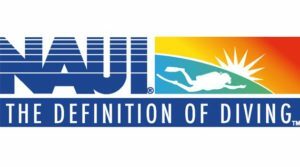 This training requires the use of the NAUI education system by student enrolled. Private Lessons (one-on-one with you and the Instructor at your own pace and schedule) are available at special rates for you or your family/group (one to four persons per instructor ). Our pool sessions are taught in an indoor, heated, full-size pool to insure your comfort as you learn the easy, fun and practical skills of diving. Our large pool allows the room for our small classes to learn the SCUBA skills without interference normally found in a smaller training pool. The completion of the class/pool sessions leaves you ready and prepared for the experience of your life! Our four open water training dives are done in Puget Sound, giving you the opportunity to use your newly acquired diving skills in the open water environment. It also prepares you for our continuing education programs such as Advanced Diver, Rescue Diver, Divemaster and other Specialty Programs like Night Diver, Wreck Diver, Underwater Digital Photographer and local dive trips with your Lighthouse Instructor. Our teaching staff is a dedicated group of professionals chosen for their skill and approach to safe, fun and enthusiastic Scuba instruction. Our instructors are qualified to train and certify divers using the internationally recognized NAUI instruction system. Our Weeknight and Weekend programs ensure you get maximum time in class and pool to ensure you have an enjoyable and safe experience during your Open Water dives. Since individual needs such as fit and preferences vary, each student is required to provide their own approved personal snorkeling gear, which consists of mask, snorkel, fins, boots and gloves. Note: Proper fit is essential for your comfort and success in learning scuba diving and this is where our professional sales staff excel. Students are also encouraged to purchase their own SCUBA gear because they learn faster and more comfortably in their own gear. Drysuit Upgrade: For an additional fee you may chose to learn in a drysuit! Diving in a drysuit, allows you to stay warm and dry during all of your open water training dives! Nitrox Upgrade: For an additional fee you may chose to learn with the use of oxygen-enriched air which will decrease your fatigue. Class sizes average 6 to 10 people per instructor which offers maximum individual attention to our students. These smaller classes lead to a safer, more intimate environment and eliminate confusion in our diving activities. No herds of students here! Smaller classes fill quickly, so payment in full is required to hold a spot in a class. For your convenience you may enroll over the telephone with the credit card of your choice! Medical Conditions: If you have Epilepsy, Asthma, Diabetes, or a heart condition, you might not be able to take Scuba lessons. If you have questions about a medical condition, please check with one of our staff, and your doctor. You will need a medical release to take a Scuba Class. Contact Lighthouse today to discuss your SCUBA course with a trained professional. Basic Open Water Course: This is where it all starts. Professional Courses: Assistant Instructor, Divemaster, Instructor.